To use Pricepin in your browser just follow the steps below. Let's go. You can also use Pricepin on your iPhone/iPad or on your Android device. Download the Pricepin extension. That’s it! Nothing more to it and it won’t cost you a thing. Currently we are working on extensions for Edge and Opera. Until then you can use the extensions for Chrome, Firefox or Safari. Not sure what an extension is? 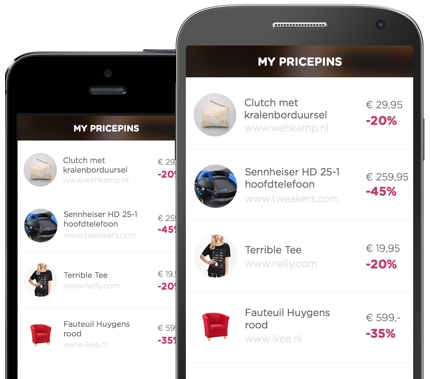 Go to your favorite webshop and click any item you want. 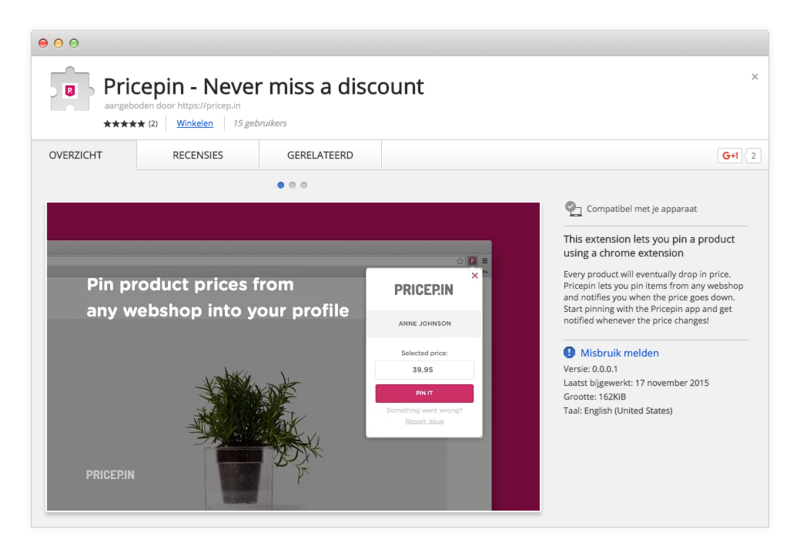 Now click on the extension icon and Pricepin will keep track of the price straight away. Because everybody has a different taste, it’s nice to have your own personal list of pins. .